Taking place during the October half term, the Ski & Snowboard Show has something to entice all skiers, from first timers to seasoned pros. Visitors to the show in Battersea Park get the chance to get up close and personal with the stars of the ski and snowboard scene and marvel at their impressive stunts on Mount Battersea - a 50ft real-snow kicker. As well as all the latest gear and winter gadgets to buy, there's an ice skating rink, late night apres ski on the Friday and Saturday, live music, comedy, all sorts of Alpine food - from crepes to tartiflette - as well as screenings of some of the best ski films. What are the best dining options near The Ski & Snowboard Show London London? 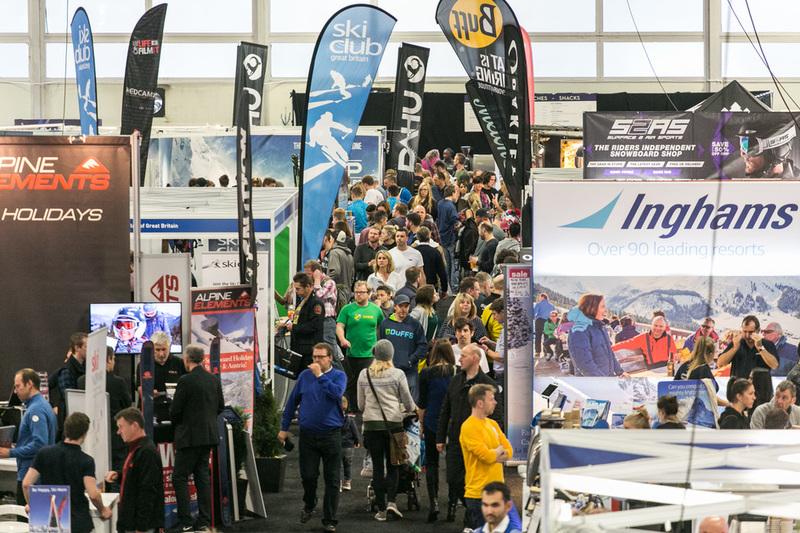 The Ski & Snowboard Show London gyms, sporting activities, health & beauty and fitness. The best pubs near London The Ski & Snowboard Show London. The Ski & Snowboard Show London clubs, bars, cabaret nights, casinos and interesting nightlife. Where to have your meeting, conference, exhibition, private dining or training course near The Ski & Snowboard Show London. From cheap budget places to stay to luxury 5 star hotels see our deals for Battersea Evolution, Battersea Park hotels, including Pestana Chelsea Bridge Hotel & Spa from 83% off.